"Behold the northern province of Skyrim, cold and rugged. Climb any one of it's icy peaks and you'll quickly realize why this Old Kingdom is considered the Throat of the World. 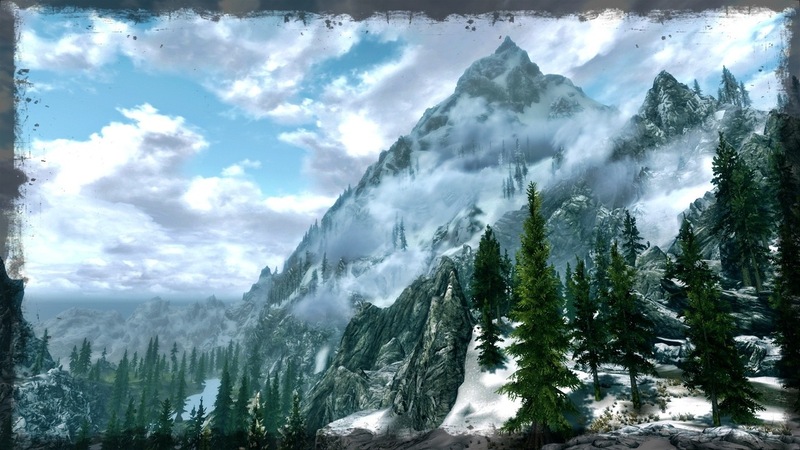 Skyrim's pine covered peaks holds four out of the five highest mountains in Tamriel, making it a land kissed by sky. To the uninformed outsider, Skyrim only conjures images of snow and mud, and while there is truth in this, it's citizens know Skyrim as a land of breathtaking vistas, mighty rivers, and above all, a place of proving. It is a land where heroes are made, crafted in the harshness of the land's embrace. To know Skyrim, is to know it's people." Our vision is an ode to the Five-Hundred Companions. Though not all of us were born of the North, within each chest beats the heart of a true Nord. In the tradition of our forebears, we leave politics and power struggles to others. We are arbitrators of honor, defenders of Nord culture, and fierce protectors of the independence of the harsh, hostile beauty that is our homeland. We do not bow and we do not follow for the ordering. We Companions are free to come and go as we wish - to determine our own destiny! The only thing that binds us to our Shield-Brothers and Sisters is our honor and our shared vision. 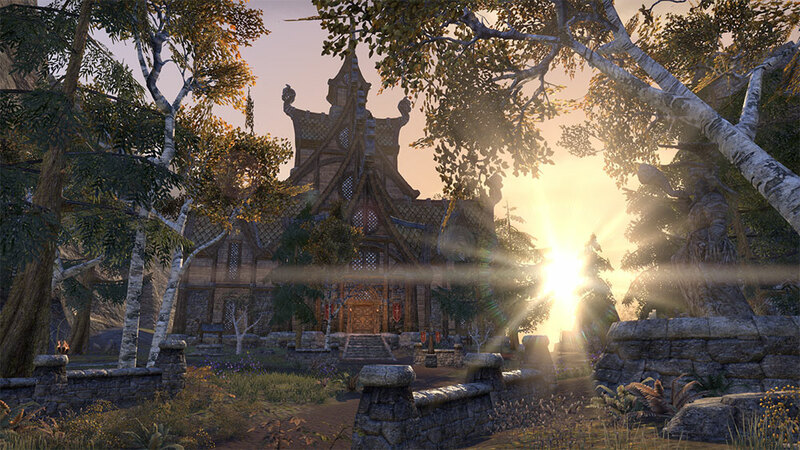 With no true leader since the days of Ysgramor, we instead look to a circle of advisors to show the way, and guide the younger generations, in the tradition of Ysgramor’s circle in the days of the Return. Therefore, prestige and respect are gained by the efforts each member puts forth and earns through merit, not by the arbitrary decisions of a single leader. We put hearth and folk above personal gain or power and adhere to a code of honor. This is the Atmoran way - the Nord way. The Hammer of Atmora rises, held once more in Nordic hands, ready to hammer down the nails of our industry, to crush the skulls of our enemies, to shatter the chains of oppression and dispel unwanted influence from our pristine landscapes. Together, we stand in equality with other like-minded folk from all walks and lands, bound together in our wish to live with honor and die well. Equal offerings of blood. Equal say in council. Equal share of spoils. One saga - to echo through time. Nestled into the mountain range between The Rift and Eastmarch, we hail from around the area of Shor's Stone and Fallowstone Hall - home of The Companions. Those who hold Skyrim within their hearts are always welcome to stop by for a tankard of mead, or two, or three! Or just wander by to enjoy the serenity of the grounds which is open to the public. The various shrines, dedicated to the original Five Hundred Companions, mingle with the natural tranquility of the autumnal landscape. Even though some of the shrines now lay in ruin, there is a tangible sereneness here, making it a place perfect for contemplation and deep reflection. 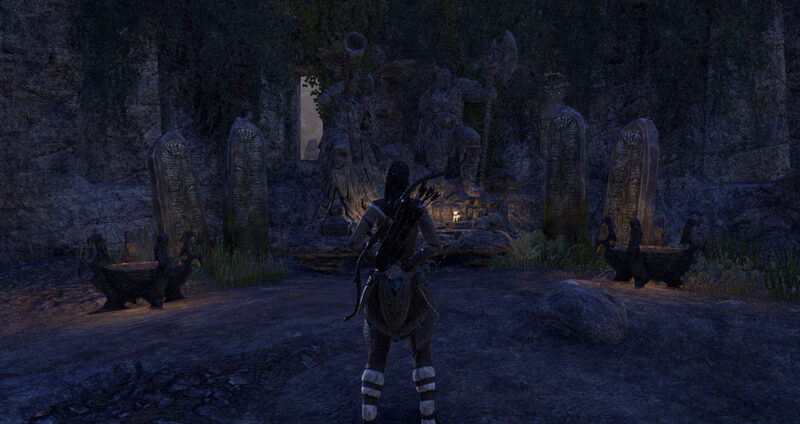 Unfortunately, the Fallowstone Vaults, which served as a museum and mortuary for the Companions, as well as the former resting place of Ysgramor's legendary Wuuthrad ax, are currently in ruin. Ushering in a new chapter in their saga, the Companions of the Hammer of Atmora departed from their humble beginnings among the Companions of Fallowstone and struck out to construct a mead hall of their own in the summer of 2E 585. 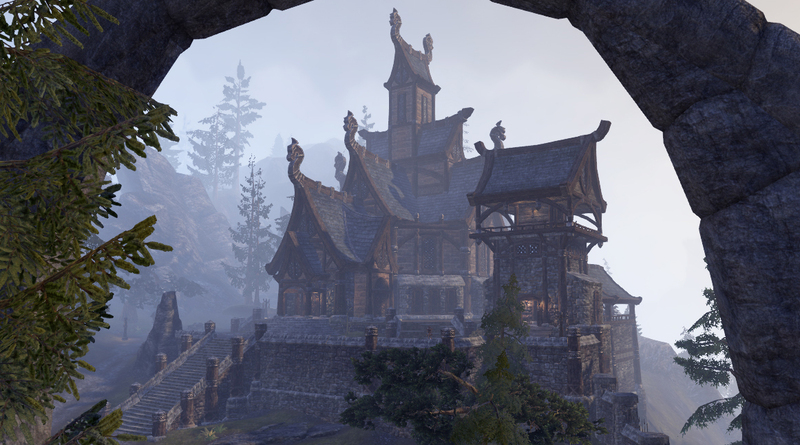 This hilltop bastion now serves as the Hammer of Atmora’s central garrison. Well stocked and fortified the grandiose Hall brims with relics and trophies of triumphs past; each Companion contributing to the honor and glory displayed by the abundant treasures housed within. The sacred barrow upon the grounds of the Hall serves both as a shrine to the original Five Hundred Companions, as well as a resting place for those who paid the ultimate price in protecting the “land kissed by sky”. Yes! These are the goodest peoples! Aedelric seal of approval. 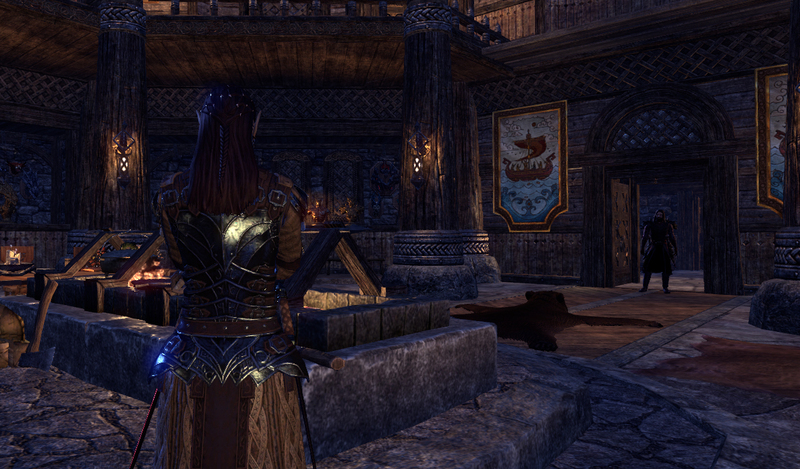 The Hammers are still alive and kicking and soon to celebrate our third year as a guild in the ESO RP community. Woo, that's awesome. Congrats to making it thus far! She looked to the haggard figure as he made his way through the massive oaken doors, a frigid wind nipping at his heels. Standing near the hearthfire with hands extended towards its warmth she bid the stranger welcome… though not without keeping a watchful eye upon him as he slowly trudged his way through the threshold, shaking off the damp cold. The stranger bid her thanks as he too took up a place across from her at the fire, casting back his hood and taking in the female figure’s appearance, raising a brow as he did so. “Not exactly what you expected was it?”, she smirked to his obvious skepticism. “Not exactly”, he simply replied as he too began to bask in the hearth’s warmth, snow beginning to melt from his fur cloak and dripped upon the wooden planks of the floor. Narrowing her gaze upon the figure with all due scrutiny, the man looked well-traveled, yet fit and prime. After a lengthy pause she inquired as to his whereabouts and what brought him this way. And so he spoke freely of his journeys and what it was he sought. To which, she replied…..
“Your tale is a familiar one… all too familiar. A journey such as yours is a winding one and not without its perils. Just when you think you have found what it is you seek it slips through your grasp, only to realize you did not find it at all. You want your life to /mean/ something… you want to fight /for/ something. Many times those who seek to fill such an emptiness find themselves at our doors. Choose to join our cause and you will know comradery like no other, sharing a bond words cannot describe. You will know what it /feels/ like to be a part of something. There is no greater glory than that sense of pride that wells up within you from achieving that fulfillment you sought for so long. Want to know what it means to be a Companion of the Hammers? Seek us out. Though we are EP based due to centering our RP in and around Skyrim, we accept those “outside our chosen faction” if they have Skyrim’s best interests at heart. Were's still around and going on year 4 together. Have some great plans for the coming year. Come RP with us! What does it mean to be a “Companion”? The broody mer often ponders this very question herself, for she, of all her comrades, seemed least likely to be the sort to be counted among their number. It is something intangible; difficult to put to words, at least for her, she being unskillful in the ways of speachcraft. But it is most assuredly something felt, deep within one’s core. To her, to be counted among the honor-bound folk of the northlands is a feeling of pride... unmeasurable and boundless, and a comradery like no other. So come ye northmen and women of the harsh bosom of Skyrim and see what it is like firsthand to be counted among the legendary Companions of olde, to take up the time honored traditions of Ysgramor’s folk, and defend mother Skyrim with heart and soul till Sovngarde beckons. The Hammer of Atmora is openly recruiting, but acceptance is strict and proving one's worth is perilous. Do you have what it takes to be counted as Shield-Bearer of the Hammer? If interested, glean our website and apply. Our 4 Year Anniversary is just around the corner. Come and mingle with us on the eve of the 26th of Frost-Fall.